Arnold Schwarzenegger is an epitome of success and Total Recall: My Unbelievably True Life Story has beautifully put forth his journey from Mr. Olympia to Terminator and finally to Governorship. One of the most striking features of his personality that surfaced from the book is that, he knew what he wanted to do in life right from his young age. At the time when most of the people were struggling for living in war torn Austria, he was visualizing himself as a success story and was busy working persistently towards achieving it. Total Recall illustrates his relentless drive and focus in reaching the highest. Thus breaking barriers and savoring large as well as small victories. The book starts with describing his childhood during war torn Austria were Arnold and his brother were forced to do sit-ups in front of their father for earning breakfast. His childhood fantasy with body builders made his mother worry about him especially when she saw body builders photographs pinned up all through his room. However, the doctor said otherwise yet his mother remained skeptical to his advice. In Munich gym, where he won his first title, outside his hometown, he announced of his idea of going global with everything that he’ll decide to do in life. He pictured himself a winner before starting of the race, in his case it’s the body building championship that took place in Europe (London). Arnold even described his coarseness while dealing with people especially his fans. After receiving his first prize in London and he went abruptly out of the event than saying thanks to his fans or giving a slight wave to them. He has talked about his political career elaborately however like his previous successes in governorship he did not reach the same pinnacle. Although he wasn’t prepared for the position but he wasn’t all that bad either. He stepped into the political framework and inherited mess from the preceding governor while the Great Recession of 2008 further escalated the political hardship. Schwarzenegger wraps up his autobiography by putting forth ten principles of his life, which he has distilled over the time from his experience. His story is an epitome of unimpeded triumph of the will, of an individual who accomplished much in his 68 years. 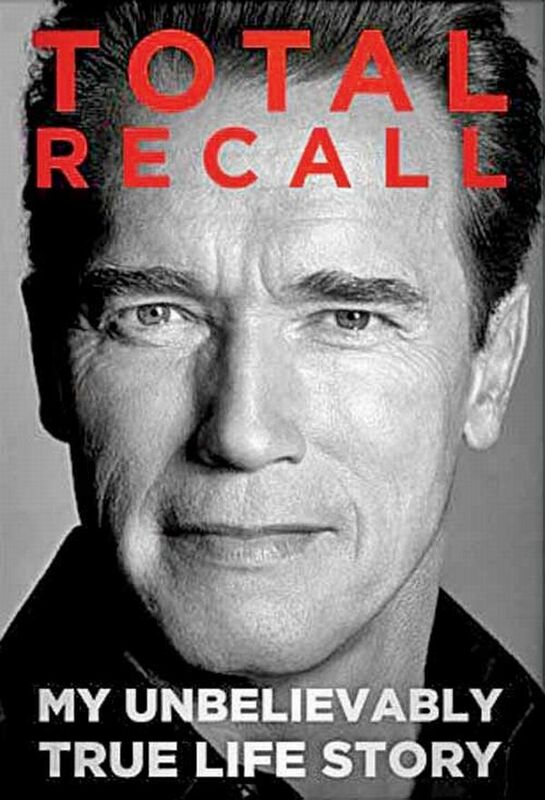 Total Recall is not only autobiography but it can also be classified as a masterpiece under motivational books.